17th of May 2009 in Rome, Italy. 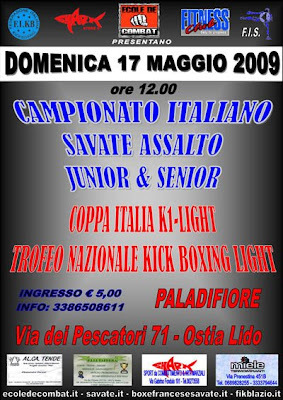 But there was also K1 light contact tournament also. and on Sunday 17th of May from 10.00 to 12.00 in Paladifiore di via Pescatori 71 Ostia Lido .